Visite o Taj Mahal, o Forte de Agra, Sikandra, Fatehpur Sikri, o Forte Amber, o Palácio da Cidade de Jaipur e o Hawa Mahal. Sua excursão particular de 3 noites de Delhi a Agra e Jaipur - as três cidades que compõem o Triângulo Dourado da Índia - começa quando você parte de Delhi em veículo particular com seu motorista para a viagem de 4 a 5 horas para o sul até Agra. Nos próximos dias, visite o Forte Agra, listado como Patrimônio Mundial, e o Taj Mahal, e siga para Jaipur para visitar o Forte Amber e palácios históricos como o Hawa Mahal. Uma noite de acomodação em Agra e duas noites em Jaipur estão incluídas em hotéis de 3 a 4 estrelas, com café da manhã. Você terá tempo livre para aproveitar outras refeições por conta própria. No dia 4, sua aventura de turismo termina com a viagem de volta para Delhi. Veja o Itinerário para mais detalhes em cada dia. Dia 1: Delhi - partida AgraMorning do seu hotel em Delhi. Viajando no conforto do seu próprio veículo com ar condicionado, acompanhado por um motorista, a viagem até Agra levará aproximadamente de quatro a cinco horas. Após a chegada em Agra, faça o check-in no seu hotel. 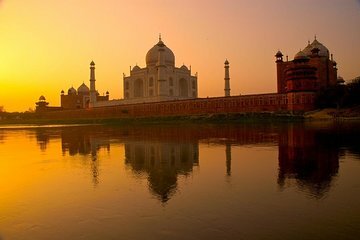 Em Agra, o seu guia local, que irá levá-lo para visitar o famoso e majestoso Forte de Agra Vermelho, seguido pelo romântico Taj Mahal ao pôr do sol. O restante da noite é livre para sua própria exploração pessoal. Dia 2: Agra - Jaipur (B) Após o café da manhã, viajar pela estrada para Fatehpur Sikri, localizada a aproximadamente 40 quilômetros de Agra. Fatehpur Sikri foi a capital do Império Mogol entre 1571 e 1585 durante o reinado de Akbar. Continue até a "cidade rosa" de Jaipur. O resto do seu dia é livre para a sua própria exploração das ruas repletas de ação de Jaipur e palácios magníficos. Jaipur é um paraíso de compras. Há uma incrível variedade de artesanatos disponíveis, e Jaipur também é famosa por suas pedras preciosas e semipreciosas. Dia 3: Jaipur (B) Após o café da manhã, visite Amber Fort localizado a 12 km de Jaipur. O magnífico Forte Amber é uma bela mistura de arquitetura hindu e muçulmana. Retorne a Jaipur e visite o Palácio da Cidade, situado no coração da cidade velha de Jaipur. O palácio é uma mistura da arquitetura Rajput e Mughal; abriga um Chandra Mahal de 7 andares no centro. Visite também o Hawa Mahal (Palácio dos Ventos), o marco mais característico de Jaipur. Construído em 1799, este é um exemplo incrível da arquitetura Rajput. Dia 4: Jaipur - Delhi (B) Depois do café da manhã, viaje de volta para o seu hotel em Delhi ou no aeroporto. Very well organized. Hotels picked exceed my expectations. Three guides along the trip were all helpful and knowledgeable. Bear in mind the distances between one city and another are 200 kms but almost 4 hours in driving time because of traffic and road conditions. One thing about the guides, not only on this tour but all the tours I have taken within India, is that they all take you to a shop of their choosing so you can see how handcrafts are made: jewelry, carpets, spices, carvings, pottery, etc. Of course I thing the idea is that you buy something. Not sure if a commission goes to the guide. Anyway, there is plenty of time to explore on your own. A 6 hour tour is very exhausting given the heat and walking involved but if you managed to keep going you can tell the driver to take you somewhere. The guides were great, the sights wonderful, the traffic scary, but the driver was very good. A few more stops would have been appreciated. the food was good, the hotels OK. The driver was always on time. Well worth the money. The tour was amazing. Our driver, Subedh was great and very punctual. The guides in Agra, Fatehpur Sikri and Jaipur were outstanding. Overall I'm happy that I booked this tour for my first trip to India. There is so much chaos everywhere and the traffic/driving is crazy! Our driver was great, always on time and could maneuver the roads and traffic like a pro. My only complaint is that he took us to an elephant farm where we were pressured into buying a package to feed an elephant. Not included in the itinerary. Our guide Mahi in Agra was fantastic, so knowledagable and got us the best photos of the Taj Mahal. The hotels were great except the Fern hotel in Jaipur. The staff there were extremely rude, charged for WIFI which we never received for the second day. Located far away from the city, nothing within walking distance. The tour itinerary should include the fact that we were taken to so many high pressure shops by our guides, to see local craftwork. These people are high pressure sales and made the tour so uncomfortable as we weren't really there to shop. Almost felt kidnapped. A warming that this was part of the tour would've been nice. No elephant ride in Jaipur which I believe I read was part of the itinerary prior to buying. This wasn't even offered to us. The tour guide in Agra, Mahi and our driver saved the trip. I know that being taken to local shops is probably part of every tour experience but a warning would have been nice. In the printed itinerary it was said that we would have an afternoon on our own to explore the city, not an afternoon at garment or gem shops being aggressively touted goods that we really didn't want. Some tour leaders were worse than others, the gentleman Mahi in Agra was the best, the man in Jaipur that lead us was the worst taking us to several shops after our stated itineraries were completed prior to being taken back to the hotel. So awkward because we really aren't shoppers and were made to feel so guilty. Even our driver who we really liked brought us to an elephant farm where we were guilted into paying 10 to feed an elephant bananas. The itinerary in Jaipur also said we would be riding elephants into the Amber Fort which was not offered to us. The hotels were good except for the Fern in Jaipur, not at all near the city center, not close to anything really. The front desk staff was rude and tried to negotiate WIFI prices with us. The only hotel that charged for WIFI! The highlight of the tour was our guide in Agra, Mahi who was extremely knowledgable about Agra and the Taj Mahal.  Our photos at this site are amazing. Our driver was indispensable too. Always very punctual. 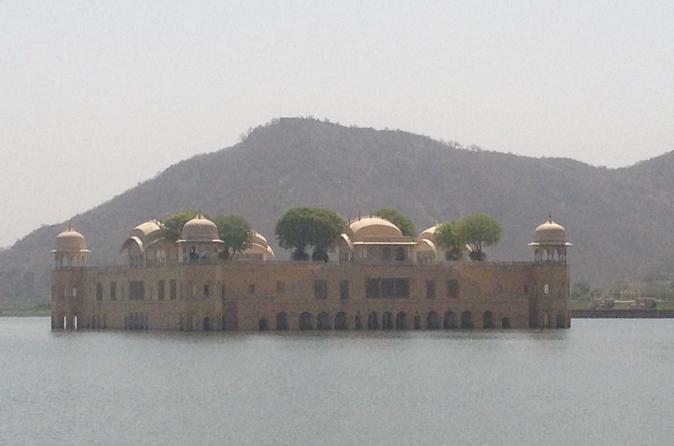 Our Golden triangle tour was outstanding and amazing. Our tour guides did outstanding job in this tour. Specially our guide in Agra, Mr.Mahesh Kushwah was extremely knowledgeable. We were lucky to have him as our guide in our tour. He made our agra tour was so memorable.... Our guide in Jaipur , Ashok was also a very fantastic and friendly person, He was too made our trip so memorable.... Our tour was very well organized and our vehicle was so comfortable and it was in good condition. Our driver Sanju was very fantastic human being, He made our tour lots of fun. His driving was really very well. We had a great time with all of them. Our Golden triangle tour was one of our amazing tours ever. Thank you Viator for this wonderful tour. De tour is zeer aan te raden! In de drukke hectiek van dag is het heerlijk dat onze prive chauffeur Lalit Mishra zeer betrouwbaar en loyaal ons in een comfortabele auto met airco ons op de afgesproken tijden naar alle bezienswaardigheden rijdt en ophaalt, zelfs 's avonds! Je geeft zelf aan wanneer je van het plan wilt afwijken om iets anders te zien. De gidsen voor ons gereserveerd vertellen veel over alle monumenten en tempels, soms te gedetailleerd, maar dat gaven we dan aan. Het waren zeer intensieve dagen met veel reizen 800 km?....maar de hotels 's avonds waren geweldig. Heerlijk om na een zware dag in een 4-5 sterrenhotel tot rust te komen in een goed bed en eigen badkamer. Het eten was er telkens een feest en zeer betrouwbaar wat betreft hygiëne. Zeer intensieve dagen, maar dit moet je doen! Echt aan te raden! amazing experience and highly recommended, comprehensive tours and great driver made for a perfect trip. many thanks! We loved the tour, particularly the Taj Mahal and Red Fort. We had a wonderful driver Raza who took great care to ensure our every need was met. We felt extremely safe on the roads in his care, even in the chaos that is india traffic! Mahi, our guide in Agra was also great - extremely well informed and helping us to get the best possible photos. We would highly recommend this tour.